Finally, we did it. MoneyCoach has been featured on the Thailand, Vietnam, Singapore, Indonesia, Malaysia and Philipines App Store front page and we couldn’t be any prouder. A true Christmas gift, a beautiful one that motivates us even further to work harder bringing new features to the already expansive suite of offerings. A heartfelt thank you goes to every one of our thousands of users on the Asian market that made all that made all of this possible. Also, remember you can always help us localize the app in your language, we’ll share the details later. 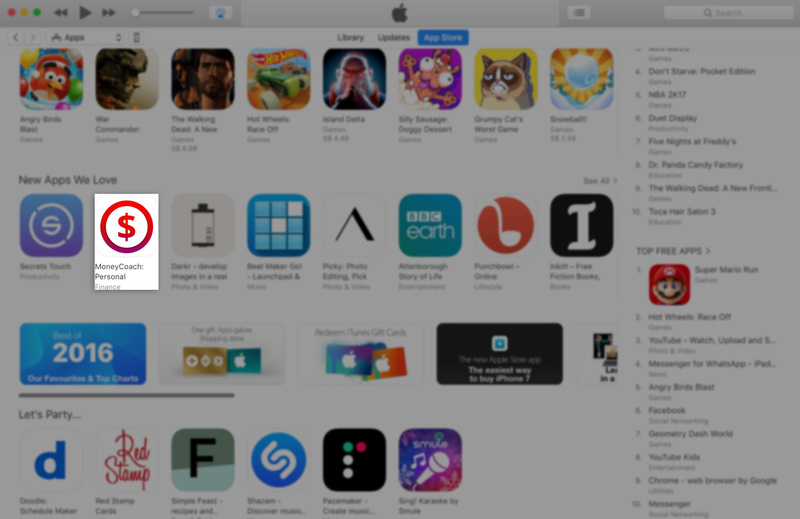 But now I guess you want to know how to get your app featured on the App Store, right? Well, we could make an extensive article listing all of the “stuff” you have to and can do to get your app on the front page, but in reality, it is very simple. You have to do only one thing, make the best possible app you can. That’s it! That’s the guide, the how to, everything you need to know. If you know what you are doing and if your app is fantastic, people will notice that. Update it, make it a tad more awesome with each update, reply to each and every one of your users when they have a question and sooner than later you’ll end up on the App Store front page. There couldn’t be any better way to end 2016. A big thanks go to everyone that uses our app. You keep us motivated to always bring our A game to the table!